While summertime activities a great way to spend the day, sometimes you just need a little relaxation with a beautiful lake view. Or if you want to continue your summertime activities you can choose a beach perfect for horse shoes, volleyball, or Frisbee. Either way, there are plenty of beaches to choose from for any type of day you are looking for. The California Tahoe Conservancy`s "Carnelian West" beach shares a free parking facility and day use buoy field with Gar Woods restaurant in Carnelian Bay. This wide, flat beach has year-round public restrooms and welcomes you and your leashed dog. Barbecues and picnic tables allow you to picnic at the water`s edge. See Patton Landing for other beach options in the Carnelian Bay Area. Chambers Landing is a small public beach. Parking along the paved entrance road is the only public parking available. There are no services or BBQ grills, and dogs are required to be on leash. The public side of Chambers Landing is managed by the U.S. Forest Service. The private side of this beach is membership only with the Beach and Mountain Club. Chimney Beach is located on the east shore of Lake Tahoe about 2.5 miles south of Sand Harbor and is a local favorite. Parking is located on both sides of the street. You access the beach by following the trail from the parking lot. Chimney beach is named after the still standing chimney that is a remnant from a once beach front cabin. Commons Beach is a popular site for sunbathing, swimming and picnicking. Located within a large lakefront grass and sand area, there are group picnic sites and children`s playgrounds. During the summer, the beach is home to free "Concerts at Commons Beach" every Sunday afternoon as well as free "Movies on the Beach" every Wednesday night - both great family attractions. "Bliss Beach" is a beautiful, popular beach located within DL Bliss State Park. It is composed of two parts: the north portion is known as "Lester Beach" and the south portion is known as "Calloway Cove". This area is the northern portal to the famous Rubicon Wall, one of the deepest portions of Lake Tahoe, and the popular Rubicon Hiking Trail. It is adjacent to DL Bliss Campground. Beach goers can expect a gentle beach; however, there is no designated swim area and boat traffic is common. Hurricane Bay is located roughly 3 miles south of Tahoe City on the West Shore and is visible from 89. Hurricane Bay has some amazing views of Lake Tahoe and the surrounding mountains. This beach is made up of smaller rocks and while not sharp, a chair would be recommended. Public restrooms are accessible and there is a portion of the beach that you can bring your four legged friend. Incline Beach has a nice sandy beach and swimming area if you need to jump in the water to cool off. There are several picnic areas with big grills to fit a dozen burgers on, a playground, and a snack bar that serves a variety of refreshments and beach items open daily during the summer season. The beach is private and access is through IVGID. KBSRA is the flagship beach site in the North Tahoe area. KBSRA`s 1,700 feet of lakefront is the largest public access sandy beach on the North Shore of Lake Tahoe. The wide stretch of white sand that makes up Kings Beach is a favorite of visitors and residents alike. Its south facing aspect and a lake floor that gradually deepens, makes this one of the warmest swimming areas on the Lake. The beach is adjacent to the Kings Beach Plaza. Meeks Bay day use area is uniquely situated between the two California State Parks of Sugar Point Park and D.L. 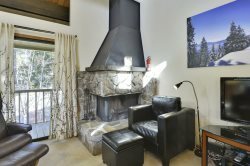 Bliss and is located on the west shore of beautiful Lake Tahoe. Meeks Bay day use area and offers a beautiful picnic area and easy access to Lake Tahoe for swimming and kayaking. The California Tahoe Conservancy`s "Patton Landing" beach is located in the heart of Carnelian Bay. The concessionaire on property is Waterman`s Landing (http://www.watermanslanding.com) - a small coffeehouse with fresh food and drinks as well as kayak, paddleboard and canoe rentals. The public beach has lakefront picnic tables and seasonal restrooms. There is free parking at this site however the parking lot is small. A car top boat launch facility is also free to the public. Be sure to protect Lake Tahoe by inspecting your non-motorized watercraft for aquatic invasive species! This beach has smooth, black pebbles rather than sand, which is a unique characteristic within the Tahoe Basin. Secret Cove/Hidden Beach is located on Highway 28 about 1.5 miles north of Sand Harbor. The beach is difficult to see from the road and requires a short walk down the hillside, where you are met with some of the most beautiful shoreline of Lake Tahoe. This area is full of large boulders, sand and some of the most beautiful colors seen in Lake Tahoe. The only parking for this beach is side street parking. From there, you will need to cross over the guard rail and follow the path down to the water. Be aware of the no parking signs when looking for a spot, as they are very diligent about ticketing in that area.